Great Tent 2 Person Tent From Vango. Banshee 200 with updated flysheet and stronger poles. The Vango Banshee 2 person tent is a best selling 2 person tent from Vango. 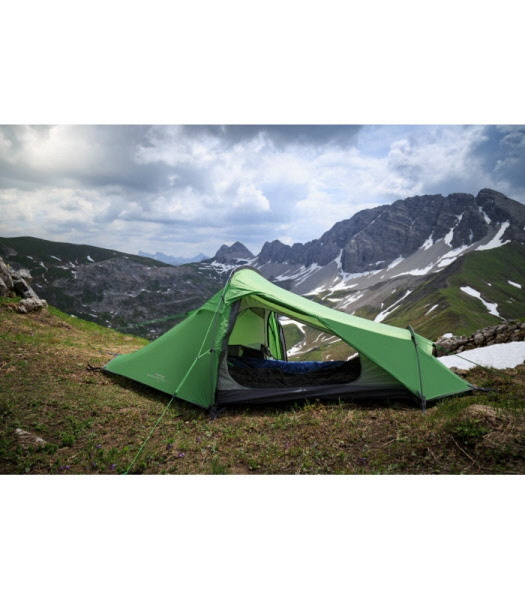 This is a great tent for camping and backpacking.It is lightweight,has an all-in-one pitching style that makes erecting very easy. The flysheet with hex design has taped seams.The Vango Banshee 200 has a breathable inner and flysheet which allows air to circulate letting out condensation.The front is designed so as not drip water onto the inner You can also pack the porch with wet gear and still be able to get in and keep dry.The poles are angled with coded colour which helps pitching. Flysheet: 68D 190T Ripstop Polyester 5000mm H/H. Alloy Poles.These poles provide excellent strength in high winds. Flysheet and inner pitch together. Pre-angled poles - Achieve greater internal space than with a standard curve. Walking pole attachment eyelet in door. 70 denier, 6000mm lightweight polyester groundsheet. Vivid reflective high strength guy-lines. Weather tested beyond the European standard.